As described in Part I of this article, few people realize that the familiar HIV/ AIDS global statistics are actually estimates. 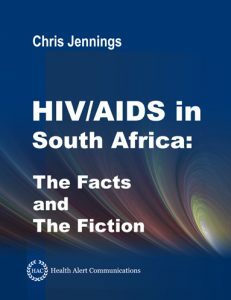 For example, UNAIDS estimated that the Republic of South Africa had 140,000 HIV / AIDS deaths in 1997 . However, after tabulating all death certificates for 1997, the Republic of South Africa attributed only 6,635 deaths to HIV / AIDS . 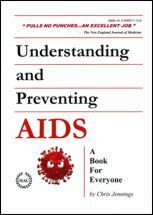 One problem is that epidemiological models incorporate a misconception about the HIV incubation period, as described in Part I of this article [3 – 5]. 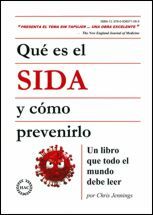 A second problem of the computer models is their utilization of HIV seroprevalence data from sero-prevalence surveys. For example, in the Republic of South Africa, the HIV seroprevalence rate of first-time pregnant women averages 25% to 30% as evaluated in annual, one-off, sero-surveys (n ~ 30,000 per year) . The RSA health authorities utilize this data to derive national HIV prevalence rate (17%), and the estimated number of PLWH (5.6 million), as of 2009 [6, 7]. HIV seroprevalence rates exceed all human plausibility of heterosexual HIV transmission. In the Republic of South Africa alone, health care interventions founded on the fallacy of an “African-like” epidemic are currently administering antiretrovirals to an estimated 900,000 patients, the greater majority of whom lack HIV infection (in the Author’s opinion) . These interventions have created revenue streams for some players in the pharmaceutical and diagnostic industries: income sources that could potentially collapse, based as they are on a conceptual house-of-cards. Eventually, the revelation of these misconceptions may offer the greatest immediate opportunity to assay manufacturers, should any decide to focus on the diagnostic market. The lion’s share of the HIV assay market lies in blood screening at donations centers, wherein sensitivity is valued over specificity, as tests strive to reduce the window during which HIV antibodies reside below detectable limit(s). As such, the tendency over time has been the development of increasingly sensitive and less specific HIV assays . The decreasing lack of specificity may not adversely affect diagnosis within developed countries whose algorithms utilize the HIV assay in conjunction with the CDC surveillance definition (or facsimile) and biopsy-confirmed diagnoses of AIDS-defining conditions. It’s a different story in indigent settings wherein the clinics lack laboratory facilities for biopsy or blood counts, or wherein sentinel populations are subjected to one-time or periodic cohort-based, sero-surveys lacking any patient follow-up. For those firms harboring investments in pharmaceutical R&D, the concern might be one of resource conservation and / or the re-evaluation of R&D priorities and prerogatives. Firms channeling one or more antiretroviral compounds through the pipeline in anticipation of an ever-expanding global market (estimates range up to 60 million infected people world wide ) are actually competing in a market only a fraction of the size. Other than HIV, the human market for antiretrovirals is rather limited. 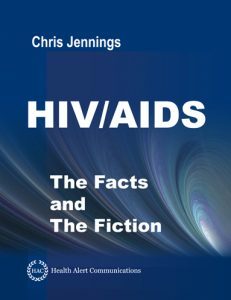 HIV was only the third known human retrovirus. The other two – human T-cell lymphotropic viruses I & II – are endemic to select populations in Japan and Africa. A fourth is HIV-2, but a discussion of “close relationship” between HIV-1 and HIV-2 in terms of disease characteristics and genetic homology is a topic for another discussion.